Giving respect inspires respect in return! 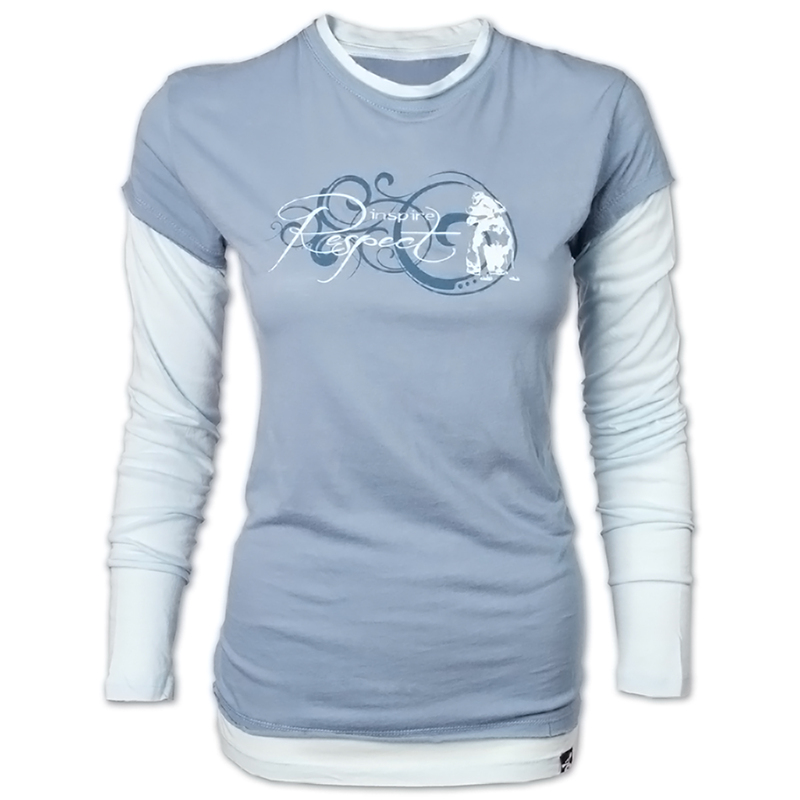 This tee is the perfect year-round style This comfy, light weight, two-fer tee is like two tees in one! 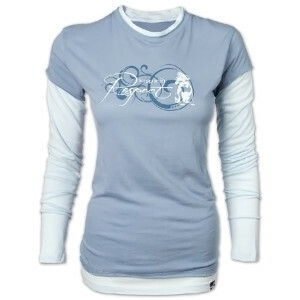 Light-blue long sleeves with Dusty blue on top makes a fresh combo. This style is a "juniors" cut, so if you prefer a less fitted look, size up one or two sizes. Made of 100% pima cotton this vintage-feeling, tee is pre-shrunk, but will relax during the day as you wear it, returning back to its normal silhouette with washing. The sizing is accurate and it looks really nice. The sad part is the product is made with extremely thin material. I was hoping it would be a nice shirt to wear in cooler weather. This shirt is one of my favorites. The material is heavenly -- so soft! So far, it's been pretty durable in my heavily agitating washing machine and standard dryer. Very comfy, easy care instructions. The sleeves also accommodate my longer-than-average arms. All in all, it's been a good find, and I'm very pleased!